While the backstory for indiePub’s newest game may not be the most original, their goal of tying several unique mechanics together while sharing an overarching narrative is a lofty goal. How does Capsized hold up? Does it rock the boat or should you save the life raft for something else? Let’s find out. As your ship was making its way through space, something hit it, causing it to come crashing down on a nearby planet. In a quick bid for survival, you jumped into a life pod and jettisoned your way from the burning craft. 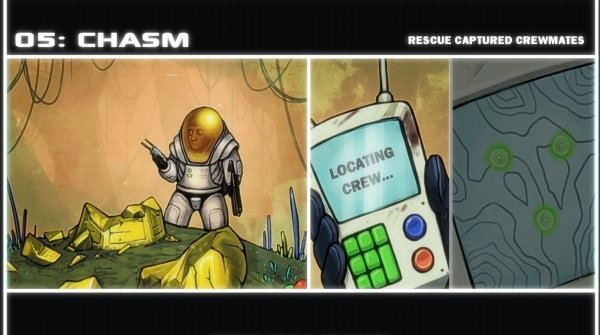 Once you came to, you noticed that, amidst all the wreckage, several of your fellow crewmates were missing. Alone on a foreign world, you set out to gather the survivors back together and devise a way to get off this hostile, unknown planet. 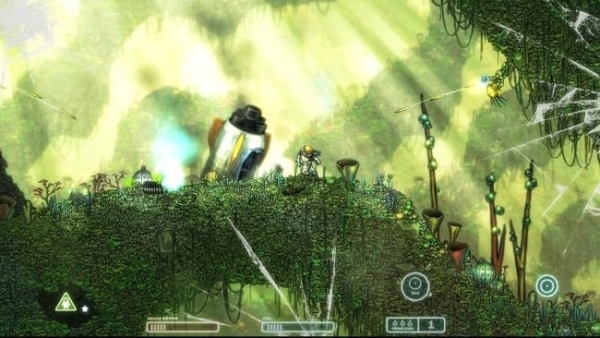 At its core, Capsized is two-dimensional platforming game, but there are so many layers wrapped around it, you could never separate them. 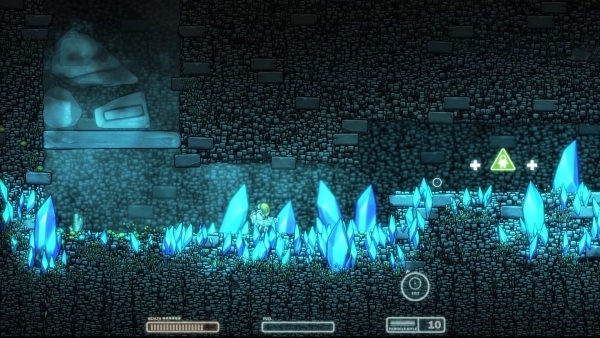 Your basic maneuvers are fairly similar to any other platformer: run, jump, and shoot. As a space traveler on a distant planet, though, you’ve packed a few additional tools in your escape pod to help out. Most notably of your unique tools is an energy grappling hook. This lets you pick up rocks or other environmental objects and use them as cover or toss them to take out enemies, trigger traps, or activate a pressure plate – all physics based. It’s also fun to use on creatures themselves. You can throw them into walls or at other enemies for an entertaining way to eradicate pests. In most platformers, you’ll be able to shoot up, down, or in front. Capsized takes that to the next level by using the right analog stick to control the direction you’re aiming. This allows for some deft maneuvering in intense firefights, which can be welcome when you’re surrounded on all sides. The unfortunate side effect is that it makes the game feel as though it was intended for a mouse and keyboard. It’s still a fantastic mechanic, but it can actually feel a little too accurate at times, so you may overcompensate. Thoughtfully, the developers thought aim overcompensation may be an issue, so they gave you a button to simply target an enemy within your line of site. This is wonderfully helpful, to the extent that it may be the single most useful button in the game. It doesn’t muck up the difficulty in the process though. The game still provides a great challenge with the help. Combat has a great flow to it. This is especially true when you’ve got a lot of foes and some room to maneuver. Mow ’em all down if you want! Can’t do that? 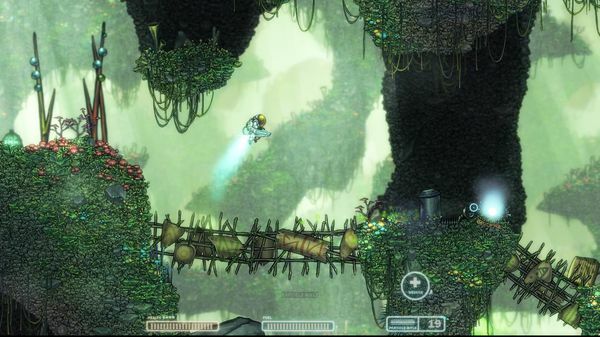 Activate your jet pack and fly around, dodging and returning fire. It’s a satisfying engagement every time. The game isn’t terribly long. They advertise that it’s “more than a dozen levels,” which is as accurate as they can get in marketing lingo. From start to end, the campaign will take no more than 4-5 hours to finish. In this case, that doesn’t feel too short. It manages to tell a full narrative arc and keep players engaged in the gameplay without wearing out your welcome. Levels are well-designed affairs. Each one has its own unique objectives and mission layout that help keep things interesting. There are also several hidden areas in each mission that are worth your time to find. Many come with extra lives or ammunition for rare weapons. The weapons in the game also have a great variety to them. There are over half a dozen different guns and on top of that, every gun (sans your primary blaster) have alternate fire modes that can really help out in a pinch. It’s fun to play around with everything and the game throws enough at you that you’ll have to experience multiple weapons to survive. The enemies in the game are also wonderfully varied and, at times, downright vicious. Tribal aliens with bows or magic, alien wolves that charge, parasitic flying creatures, and poison gas are only a glimpse at the dangers you’ll face in Capsized. Capsized is a wonderful looking game. From the hand-drawn storytelling scenes to level and creature design, nothing feels like it lacked attention. Characters and particle effects pop and draw attention constantly. Though the world is mostly blues and greens, stages have enough variety to keep your eyes satisfied. Seeing the in-game physics help cement the world around you, too. There isn’t a wide variety in the soundtrack, but what they’ve got works quite well for the mood of the game. It never feels out of place and helps drive the pace of the gameplay forward. Weapons fire a great sense of satisfaction thanks to great sound design as well. 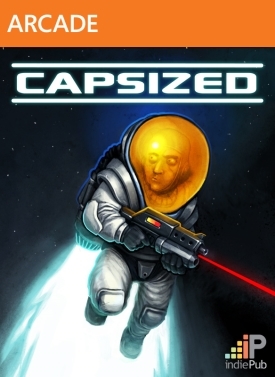 Overall, Capsized is quite an enjoyable experience that delivers its payload without wearing out its welcome. 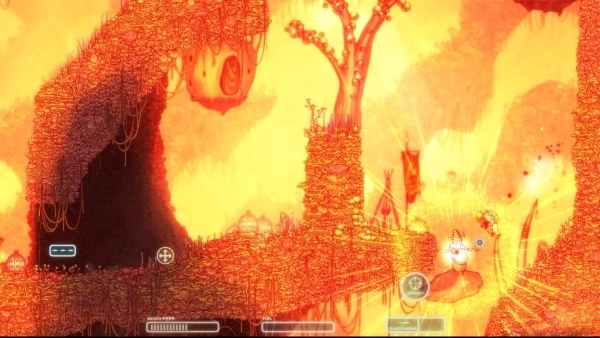 Great visual design and sound help draw you into the world on this mysterious planet. Varied levels and mission structures keep things interesting, while a fluid, satisfying combat system gives you a good sense of control in the heat of combat. The controls may take a short while to sort out, but once you’re used to them, an exciting sci-fi adventure awaits you.